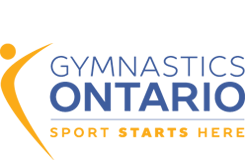 Gymnastics Ontario requires that all member clubs have a legal adult (age +18) on site at all times. This adult must have completed the Respect in Sport and have their current first aid certificate. Gymnastics Ontario strongly recommends for good practice that all member clubs have a second adult (age +18) on site at all times. This second adult does not have to have any NCCP, Respect in sport or first aid certification. For instance, a parent or school teacher on site will fulfill this recommendation where the coach fulfills the requirements noted above (see also NCCP Requirements for Ontario Coaches on the G.O. website under Coaching). Note: All member clubs must have an NCCP Certified Level 2 or Trained Competition 1 (Introduction) Coach on staff.